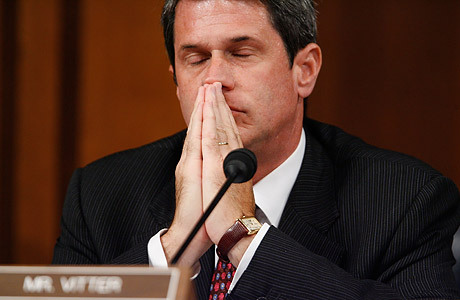 Washington had been buzzing for months about which political bigwigs would appear on the phone list of Deborah Jean Palfrey  better known as the "D.C. Madam"  when Louisiana Senator David Vitter admitted he had made calls to the alleged prostitution ring. The conservative Republican, who had called for Bill Clinton to resign during the Monica Lewinsky scandal, apologized to "all those I have let down." Meanwhile, his wife, who once said that she was "a lot more like Lorena Bobbitt than Hillary" and that she would "[walk] away with one thing, and it's not alimony" if her husband ever cheated on her, announced at a press conference that she had forgiven him and that "like all marriages, ours is not perfect."